G.I. Joe Ninja Battle T-Shirt. 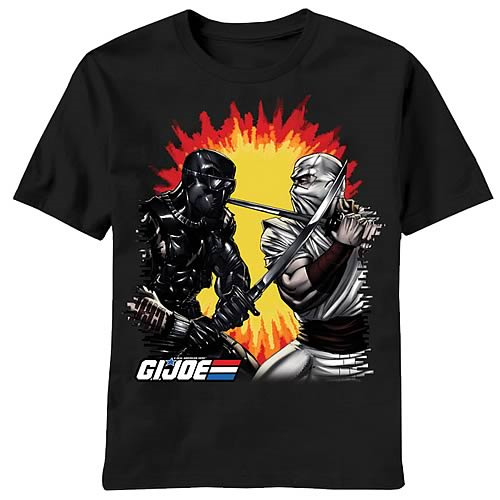 With swords drawn, Snake Eyes and Storm Shadow know how to keep a rivalry alive! This 100% cotton, high-quality black t-shirt is pre-shrunk and machine washable. Order yours today!